One of the ongoing concerns of consumers when it comes to meat products in the food chain is antibiotic use by livestock producers. That’s been true over the last several years, 2015 seemed to ratchet up the issue somewhat several times during the course of the year and 2016 promises more of the same. 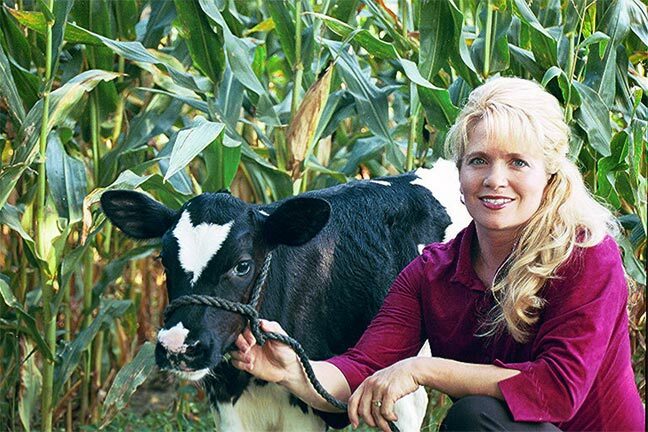 Recently we talked Michele Payn-Knoper, an author, an agricultural blogger and speaker that talks a lot to agricultural groups and non-farm groups about how she approaches antibiotics, especially when she’s talking with folks that are not necessary connected with animal agriculture. She advises ag producers to make sure they are relating to people on a “human level”. She said this shows consumers that they are talking with a reliable source, it shows that ag producers care and it also gives producers the opportunity to talk about some of their agricultural practices. Recently, she was at an event in Pennsylvania and she was having a debate with someone about the necessity of using antibiotics in cows. She asked the audience if anyone had ever had mastitis and several women held up their hands. Mastitis is very painful and hard on the body and the same is true in cows. While cows are not humans, she could not in good faith, as an animal care taker, not treat her cows for mastitis. In talking about this, she said producers can share the need for today’s animal care practices. “But if we can help them understand why we are utilizing the practices that we are and producing safe food for them to enjoy, hopefully that will help us get our arms around the issue a bit more,” Payn-Knoper said. The use of antibiotics are one of several issues that agriculture is being questioned about. Payn-Knoper said the bottom-line it’s important to get past the issues and talk to the consumer. There are number of issues coming to the forefront, but at the end of the day she believes humans connect with other humans. She said if we can relate to them and plant a question about the claims that are being made by activists and by other organizations, then agriculture has the opportunity to have a conversation with the American public. “But, if we’re not being proactive and we don’t create that question mark, then we lose our right to farm, as we best see fit,” Payn-Knoper said. Radio Oklahoma Network Farm Director Ron Hays caught up with Payn-Knoper. Click or tap on the LISTEN BAR below to listen to their full interview.